You know what’s handy? Waking up in the morning, firing up your phone/computer and being able to scan a super quick (but curated) rundown of the best of what lies ahead. So here it is, our list of fun things to do in Los Angeles for today, Saturday, April 13, 2019. 2. [9 a.m.] Volunteer to clean up the L.A. River! 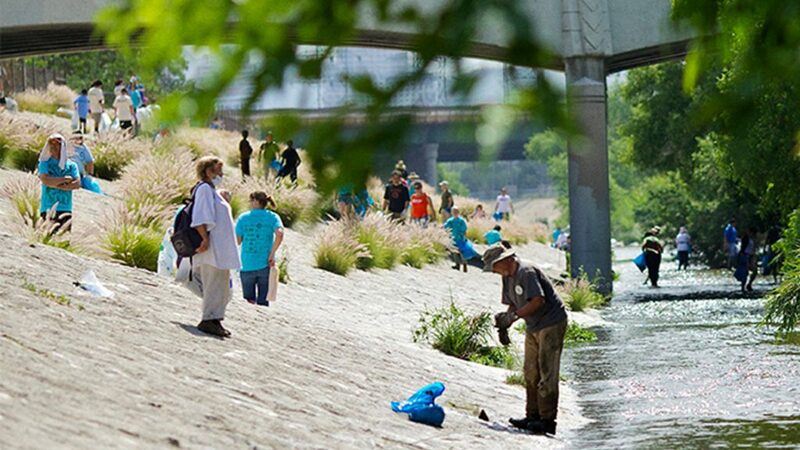 On April 13, 20 and 27, thousands of volunteers scour different parts of the L.A. River, collecting trash and helping to improve the environment. 4. [10 a.m.] Rancho Santa Ana Botanic Garden located in Claremont welcomes Wildflower Week April 13 through April 21. The nine-day celebration of California’s wildflowers will feature annual displays of California poppies, baby-blue eyes, lupines and much more. In addition, there will be an art exhibition, cocktail parties, guided tram tours and more. 5. [11 a.m.] LA Art Book Fair takes over The Geffen Contemporary at MOCA April 11-14 providing artists a platform to display their books, art catalogs, zines, and more. The event is free and open to the public from April 12-14. Opening night takes place on April 11 where tickets cost $20 and comes with a limited edition work by artist Jeffrey Cheung of Unity Press and a special musical performance. 6. [11 a.m.] MONSTERPALOOZA 2019 returns to the Pasadena Convention Center April 12 – 14 to celebrate the art of monsters and movie magic. Over this three-day affair, attendees have the opportunity to meet the award-winning creature creators from feature films, television and the haunt industry, plus loads of panels, presentations, tutorials and exhibits to browse. 9. [11 a.m.] The annual Vintage Fashion Show and Tea at the Heritage Square Museum returns April 13 for an afternoon of finger sandwiches, decadent desserts and tea in true “Romance Through the Ages” fashion. This event hosts a themed fashion show where narrators reveal the historic stories behind the styles as models strut down an outdoor runway, surrounded by beautifully restored Victorian homes. 10. [various] Record Store Day returns on April 13 for another celebration of the legacy of brick-and-mortar record stores and the special role they play in their communities. Dozens of Los Angeles stores will participate.